Valentine's Day is just around the corner! Whether you need something for your wife, girlfriend, daughter, niece, mother, grandma, aunt, or sister there is one thing they all appreciate - something from the heart. That can certainly be something that you make especially for them with thought and love put into it. 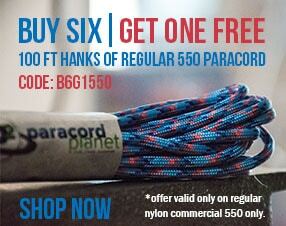 That is one of the best things about paracord! If you want to make gifts this year for multiple people - you can make them all out of paracord AND have them all be different! A very fun and cute knot to really give your heart (cheesy..awww) to someone. Click here for a pictorial on how do make the Celtic Heart Bracelet. you can turn it into a necklace! 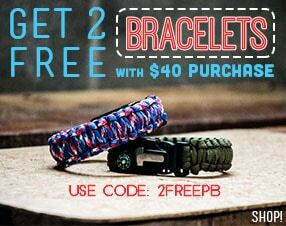 Another very simple way to add some "love" into your paracord project is to add a heart into a Cobra bracelet. All you need is to use a fid to weave gutted 550 cord or Micro cord in the shape of a heart. This is one of my favorite bracelets. It's unique, dainty, but the BEST thing about this one is you can mix and match! This bracelet is made up of two halves that you piece together to make the infinity symbol. You can make a couple for one person (which gives them 4 halves) and they can decide which two colors they want to wear. OR if you're making them for a mom and daughter they can share and mix & match with each other. If you need more Valentine's ideas, check out our blog from last Valentine's Day! Let us know in the comment section or on Facebook, Twitter, Pinterest, Google+, and Instagram.